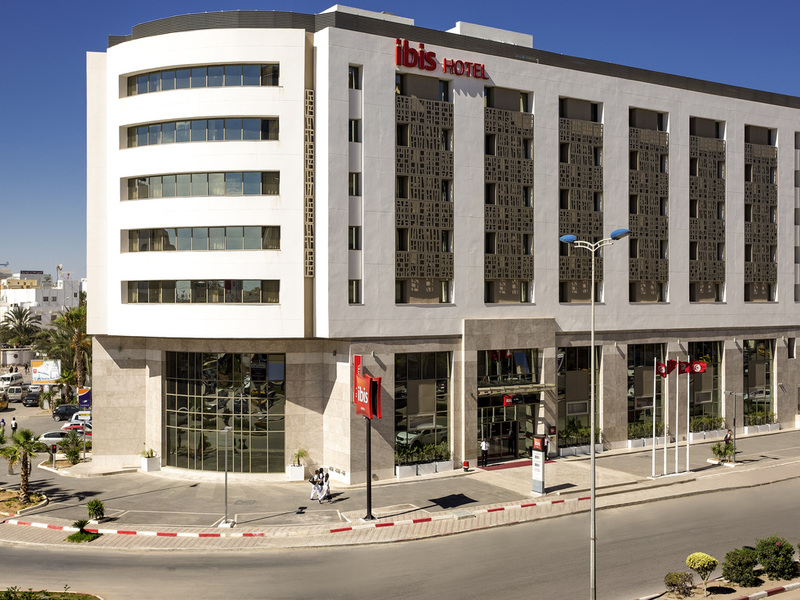 The ibis Sfax hotel boasts 187 non-smoking rooms and offers various services and amenities including its main restaurant, which serves a buffet breakfast, light snacks, pastries and hot meals, as well as two bars. The hotel also has a fully equipped gym and outdoor swimming pool on the 1st floor. The ibis Sfax hotel's 5 meeting rooms make it the ideal location for professional events. Sfax is the economic heart of the country thanks to its industry and port. A major city for exports, Sfax is a business city but also boasts various tourist attractions, such as the Medina and Thyna. Fiber optik teknolojisi mümkün olan en yüksek hızdaki internet bağlantısını sağlar. The new Sweet Bed by ibis bedding is wonderfully comfortable on every level, offering you the ultimate in sleeping comfort: microfiber pillows, large soft duvet and comfy topper. Located on the ground floor, the Pasta & Grill restaurant serves variety of pastas, grills and local dishes. There is something for everyone, with delicious food at affordable prices. No matter the time of day or night, the ibis bar is the perfect place to organize meetings or relax, serving snacks, quick dishes and drinks. Yatak üzerinde ve çarşafta bende önce ki misafirinize ait saç ve kıl telleri vardı.